The God of the Bible is the one true and living God. He is a God of Creation and of Communication. We read that “He (Jesus) was in the beginning with God. All things were made through him, and without him was not any thing made that was made” (John 1:3). So, as a result of God’s work and grace we live in a beautiful creation, and He wants to tell us about Himself, about how and why He works in this world but we have to be open to this communication through His Word. As I think on these things and the fact that we are somehow made in the image of God I conclude that we are meant to know and grow like God, to communicate with Him as we live our lives and to work with Him in his Creation. We too are to be communicators and creators in our own small way. We are meant to open and use our minds in dealing with the world. Yet the current secular university system would deny God a role in all professions and knowledge. As an engineer, a communicating and creating profession, I see no sense in cutting off my profession from the Creator. When I look at the schooling system in Australia I see Christian based education stopping after High School, and with three decades of university teaching behind me I am too aware of how Christian youth are pressured to leave their faith as they go on to higher learning. This is wrong. I very much pray for and look forward to the day when God provides a Christian alternative for university education in this country. Dr Mark Porter is an experienced Professional Engineer and (retired) academic Professor with a demonstrated history of teaching, research and management in the higher education industry. 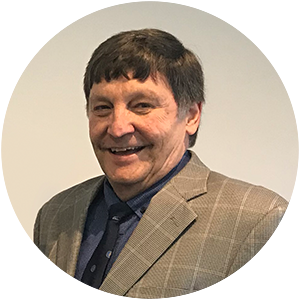 His professional activities include Water Resources Engineering, Agricultural Engineering, Hydrology, Hydraulics, Soil Physics, Irrigation system design, dam construction, Environmental Impact Assessment, and Environmental Awareness. He has pursued a range of research interests over 35 years of university employment that includes tillage modelling of soils, cotton processing quality, flood impacts on urban communities, engineering education, road pavements and most recently pump design for geothermal applications. As an academic he has lectured in numerous engineering courses to electrical, mechanical, mechatronic, civil, environmental and agricultural engineering students. He has won university and national awards for teaching, curriculum design, and research. He has published over 20 journal papers, won many thousands of dollars in research grants, and attracted over $50 million in grant moneys for engineering infrastructure. Mark considers some of his main achievements to be the instigation of a major research centre at one university and an entire engineering program at another. Mark’s career has followed a theme of working with God’s creation for the benefit of humanity. It represents an attempt to understand God better and how faith in Him should influence professional development.